Here, are links to Brilliant Project Leader and the books recommended in it for further reading. From time to time, I’ll also add some extra books you might be interested in. All of Mike’s books will help you to become a brilliant project leader. … will give you advice, tips and solid psychology that will help you influence stakeholders and get your team members to meet their commitments. It also gives you more details about how to negotiate, build networks, exchange favours and present your vision powerfully. Particularly supplements Chapter 12. … will help you to manage your personal time, so that you can stay better in control of your agenda. It also has specific guidance and ideas about how to make your meetings more effective and delegate tasks to colleagues. 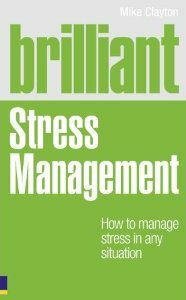 … will help you to stay tough in tough times, by giving you resources to control your response to stressful situations. Particularly supplements Chapter 12. … will help you to deal with resistance to your project and the changes it is designed to bring about. It has fuller details of the onion model and also applies it to other situations. You will find many techniques and tips for handling resistance here. Particularly supplements Chapter 10. … describes in more detail some of the models used in Brilliant Project Leader, including the OODA Loop, Tannenbaum & Schmidt, Tuckman and the Drama Triangle. Other valuable models for project leaders include the Vroom’s expectancy theory and McClelland’s model of motivational needs. … is all about project risk management. Like Brilliant Project Leader, it is targeted on new and less experienced project leaders, but focuses entirely on risk management. It also contains a lot of material that will be valuable to more experienced practitioners. Mike’s blog on change, projects and risk is called Shift Happens! and is at http://www.mikeclayton.wordpress.com. Essential reading for team problem-solvers and decision-makers; this book shows you how to make wise decisions with a group, rather than dangerous ones.